The 5500 series rotors are constructed of high impact plastic with all internal metal parts made of stainless steel. Performance and reliability make this a long time favorite for homeowners and contractors alike. No tools are needed for arc adjustment with the easy to use Click-Set disc. 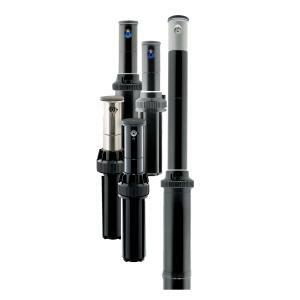 All models include a protective rubber cap and vandal resistant retaining screw.